We analysed Truprint’s PPC activity, scrutinising each element in detail to determine what optimisation techniques we could apply at a micro, as well as macro level, to improve overall performance and the help the account to run more smoothly. In additional to optimising Truprint’s existing Google Shopping Campaign, and launching Bing Shopping and dynamic remarketing our PPC team’s Premier Google Partner Status allowed us to whitelist Truprint for a range of exclusive Google beta features that have had a significant impact and placed Truprint a step ahead of their competitors. We used our proTRAX tool, part of a suite of software developed by our in-house specialists, to allow us to distribute budget across campaigns and channels in the most efficient way, to ensure Truprint got the best possible return for their budget. 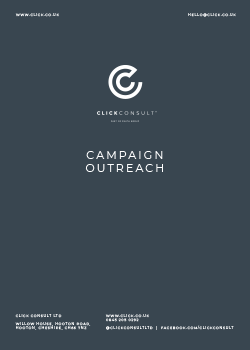 Wondering what a Click Consult PPC campaign could do for your brand’s profile? Contact us today to find out, or give us a call on 0845 205 0292.